Edit: Feb 2017 – This test is superseded by <a href = “https://www.yachtingworld.com/reviews/gear-reviews/navionics-and-navionics-plus-on-iphone-ipad-and-android”>Navionics+ test by Pip Hare</a>. 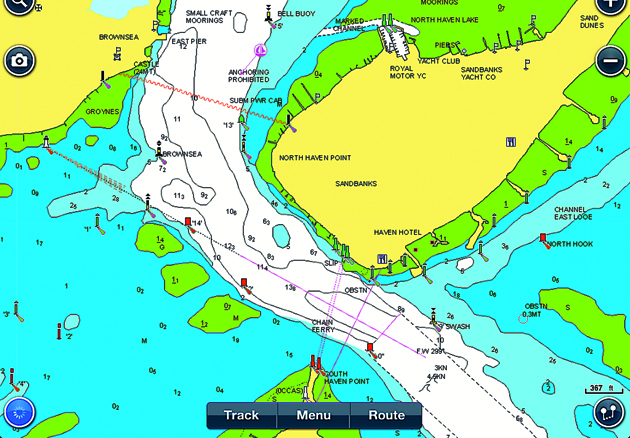 Navionics is the market leader in iPad and iPhone navigation apps. They were one of the first to launch mobile products and the apps are regularly developed and updated. This and their pricing for the Navionics HD iPad app – £37.99 for all the charts for the UK, Holland and Ireland, for example – explains their continuing popularity. It’s worth mentioning that chart upgrades are free once the app is purchased, so you should re-download relevant areas from time to time. The charts used are the same as the much more expensive Navionics Gold for fixed GPS chartplotters with the addition of a few features from the Platinum charts, so they look identical to the charts used on big-seller standalone chartplotters such as Raymarine. There are other reasons why Navionics stand out as a best buy. Zooming in and scrolling over charted areas is extremely fast and easy. Downloading new charts is a simple matter of zooming in on a new area, and with the in-app purchase of the optional navigation module you can make routes very simply, and see distance, bearing and XTE. There are some other clever features, such as being able to overlay satellite images, giving a view of what’s around on land, and excellent live weather, tide and current data. Click on any tidal diamond and you get a tidal height curve that you can scroll across, choosing times up to several days ahead to see the rise of tide – no need for secondary port corrections or 12ths rule calculations. It’s also really easy to measure distances and bearings between any two points, which is a great planning tool. When it was first launched, some felt that the lack of waypoint management functions let it down. This has been addressed with the Nav Module upgrade which costs £2.99 and is well worth the money, turning this already good system into an excellent app. The best featured and simplest mobile chart app, very intuitive to use and still the gold standard on functionality.